The Sunshine State is renowned for its theme parks, resorts, beaches, springs, shopping destinations, and more. This makes it a highly appealing location for first and second homes, as well as investment rental property. 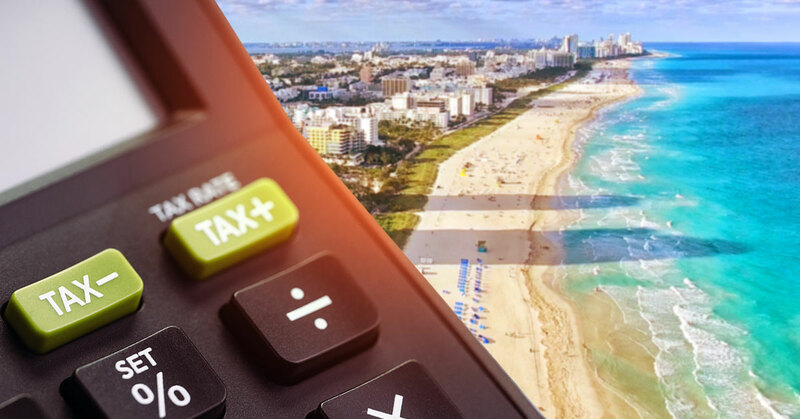 Slightly less fun and glamorous, however, are the various local, state, and federal taxes for Florida property owners that come with the territory. Use the guide below to ensure that you don’t miss any required payments or filing deadlines. Income Tax: All property owners residing outside the US who receive income from their rental homes, where IRS withholding has not been applied, must file a US Income Tax Return. The US tax year runs January to December and returns are due by June 15th annually. Various expenses, including management company fees, utilities, repairs, maintenance, and mortgage interest, are allowable deductions on your US Income Tax Return. Whether you extend a line of credit in your home country or take out an Adjustable Rate Mortgage (ARM) or Fixed-Term Fixed Rate product, the interest element may be used to offset rental income. Read more about income tax compliance for nonresident rental property owners. Tangible Personal Property Tax: This tax is assessed against the furniture, fixtures, and equipment located in businesses and rental property. Tax returns reporting the value of these assets must be filed to the Property Appraisers’ office by April 1st. Tax bills on values in excess of the $25,000 exemption are mailed out on November 1st each year, with payment due by the following March 31st. Read more about Florida Tangible Personal Property Tax. Property or Real Estate Tax: Property or Real Estate Tax is payable annually. The Property Appraiser’s Office establishes the assessed value of a property and prepares the tax roll. Tax notices are served to the owner’s last record of address or—where the property owner pays through an escrow account and their mortgage company has requested to be sent the tax bill—the owner receives a copy of the notice. Tax statements are normally mailed out on or before November 1st each year. Read more about Florida Real Estate Tax. Sales & Use Tax and Tourist Development Tax: If you rent your property for periods of less than six months, you’re required to collect and pay Sales & Use Tax and Tourist Development Tax on rental income received. Your management company or booking agent may collect and report all Sales and Use Tax and Tourist Development Tax on the rentals that they handle. However, if you receive rental income in your home country, you must collect and report Sales & Use Tax and Tourist Development Tax on this income, either through your management company or directly with the relevant authorities. If you choose to deal directly, make application to the State and County to set up these accounts. Read more about Florida Sales and Use Tax on rental income. Read more about Florida County Tourist Development Tax. Local Business Tax: This tax is required by homeowners who rent their US property, renewed annually to the tax collector’s office in the county where the rental property is located. The application for this license is usually handled by the managing agent, but you may also be required to file if you intend to rent your property directly. Read more about Florida Local Business Tax. Capital Gains Tax: CGT is payable on the net gain from the sale of a property owned for more than one year. The gain is the sale price minus the purchase price and all related costs incurred in the purchase and sale of the property. Other costs, such as furnishings used in rental property that are included in the sale price, are also deducted before calculating the gain. If the property has been used to generate rental income, then depreciation and any applicable losses are also used in the CGT calculation. If a property is sold within one year of ownership, normal income tax rates apply. Read more about Capital Gains Tax. FIRPTA Withholding Tax: In the US, the Foreign Investment in Real Property Tax Act requires that a nonresident alien who sells an interest in US real property be subject to tax withholdings of 15% of the gross sales price. The withheld amount must be forwarded to the IRS within 20 days of the closing date. These funds are held until the IRS is satisfied that all taxes due by the nonresident are paid. Read more about FIRPTA withholding. Income Tax Withholding: Generally, a foreign person is subject to 30% withholding tax on US-sourced income. To receive the more beneficial graduated tax rates (applied after allowable deductions), you must submit a completed and signed Form W-8ECI to the withholding agent (booking agent and/or management company) that receives the income on your behalf. Without this form in their files, they are required by US law to withhold 30% of your rental income and pay that amount to IRS. Read more about US rental property income withholding. Read more about Form W-8ECI. 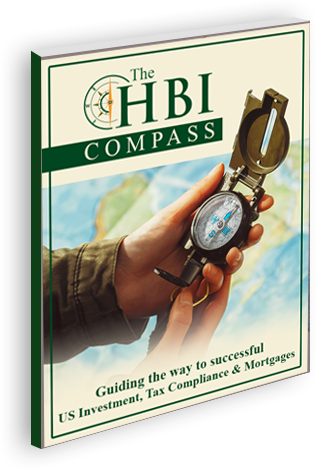 Are you a Florida property owner who needs help with tax and compliance issues? Our experts are standing by to help, and we specialize in working with nonresident owners! Get in touch today.